Recently I purchased a boyfriend watch which is something I had been really wanting for a while now. 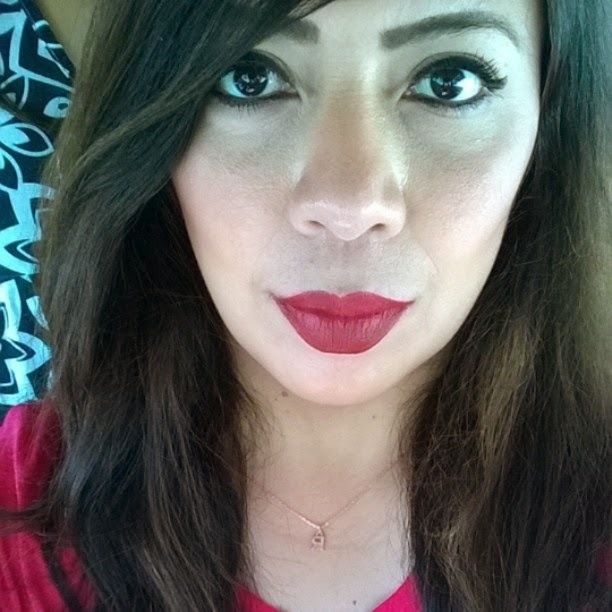 Once I got it I realized I would need another rose gold touch to go with it and since I am not a big jewelry wearer I went in search of some very simple and yet classic pieces to go with it. This is when I turned to BaubleBar. Of course I had heard of BaubleBar since long ago, every fashion blogger under the sun has mentioned them so many times. But not being a fan of those big bubble/chunky necklaces, I really wasn't interested. It was not until I received an email promoting the Buried Bauble (which was delicate and pretty) that I took the time to go check out the site. Was I wowed by the selection! I received my order two weeks ago and I just have to share with you how amazing this company is. I was not prepared for the attention to detail that this order would contain and just how adorable their packaging would be. Hot pink, black and white stripes, Yay! stickers and more to make this delivery the happiest little package ever. I received a welcome gift for being a new customer and an envelope containing a coupon scratcher. A free welcome gift is truly a neat little surprise, I love that it is a delicate little piece just like the ones I ordered. For my first BaubleBar order, I ended up choosing two very affordable pieces. I ended up paying only $18 (for my two pieces) and shipping is free with every BaubleBar order which is so nice. A lot of companies could do to take a hint and offer free shipping and I guarantee they will get a lot more sales. The actual pieces come in a very cute little black BaubleBar pouch and inside you can find each piece wrapped in bubble wrap. This makes for very secure packaging and again I can't believe how well they payed attention to every detail. For my order I got the Buried Bauble of the day which was only $10 and that was with free shipping. I also grabbed this very simple initial necklace which was also on sale for $10 and I was able to put a 20% off coupon against it which only made it $8. 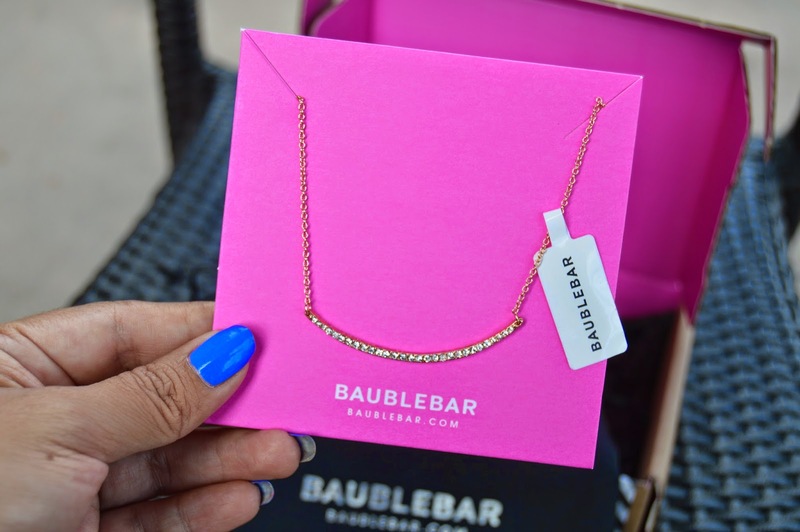 I've noticed that there are always sales and codes for BaubleBar, which means you can score some great deals. You just can't use a code against a Buried Bauble because those are already very discounted. For being such affordable pieces, I love how there is lobster claw closure and extender on each piece. They certainly didn't cut corners anywhere that I can see. I've worn my initial necklace a few times now and I love it. On top of such a cute selection, every BaubleBar order you place earns you vault points that you can use on future purchases. It’s super easy to earn points, and 10 points = $1, just from my first tiny order, I earned $1.80 off towards future purchases. Every Friday BaubleBar has a Buried Bauble that is reduced in price and there is no better time to try them out. I loved both of the delicate pieces that I got for myself and I am definitely going to be placing plenty more orders. 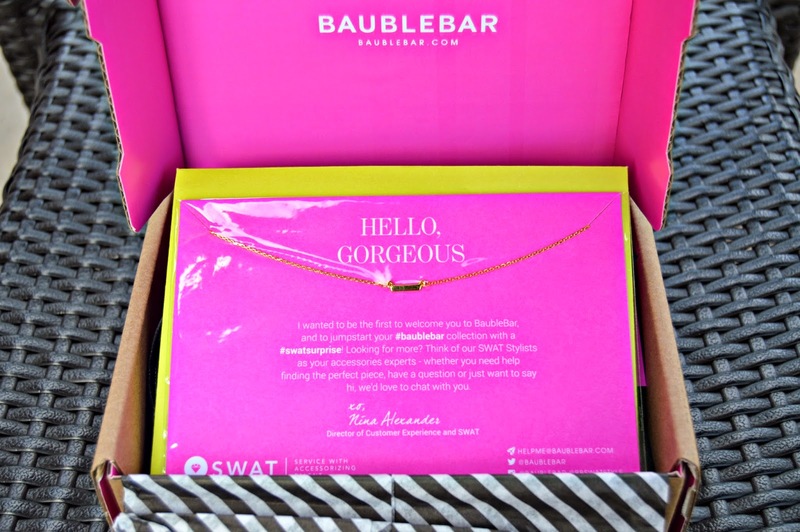 Check out BaubleBar for yourself, you can sign up at my LINK and using code 32342156, get yourself a little Bauble. I think this is going to be a very affordable and fun way to grow my collection of Baubles and I can't wait to place my next order.